Users can be added into groups. Groups might define drivers e.g. by territory, type of service or working groups. 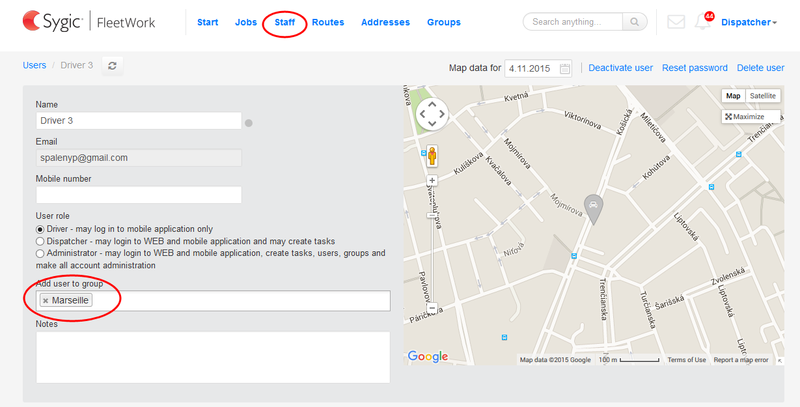 Each user can be added to any number of groups. 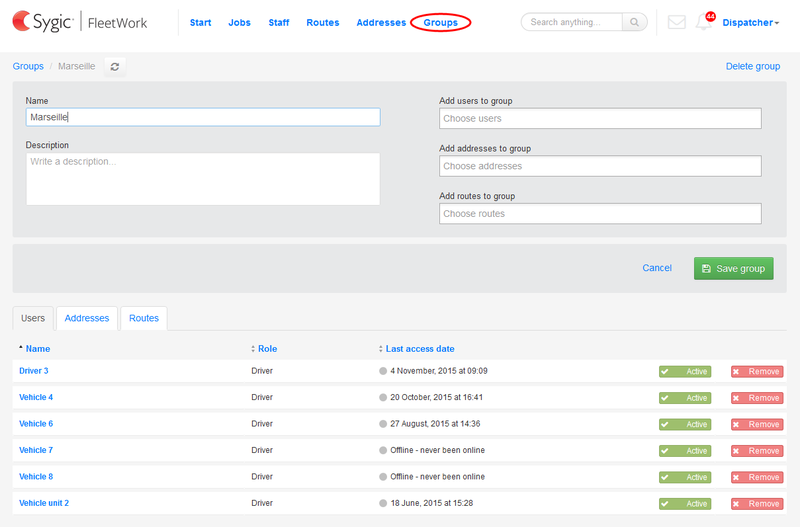 Visibility – Users, who are not part of any group are visible to all dispatchers. If a dispatcher is put in the group, he can see only the users of this group. Administrator can see all the users regardless the group assignment. Assign job to a group. The job will be dispatched to all users inside the group. User who accepts the job first will get it. 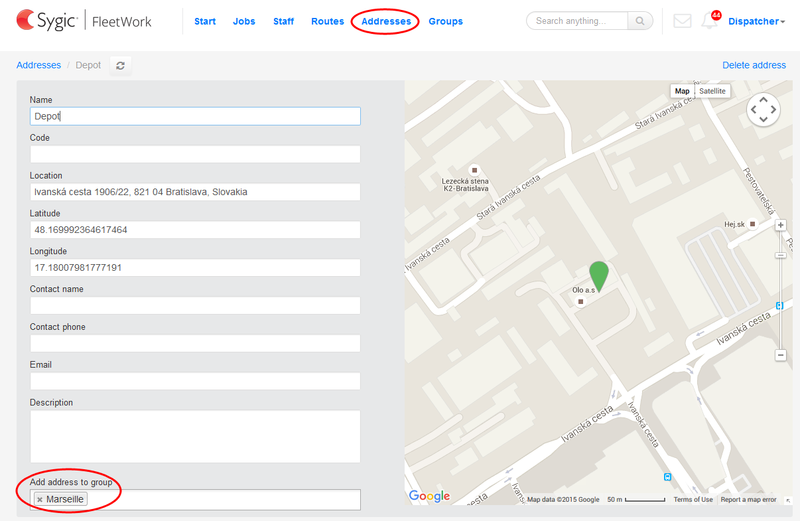 View users and adresses added to group in bottom part. Switch between them clicking on corresponding tabs. When assigning a job, a dropdown list appears. Groups are highlighted in gray and there are drivers in them listed below. Click on a group name to assign it to a job. e.g. 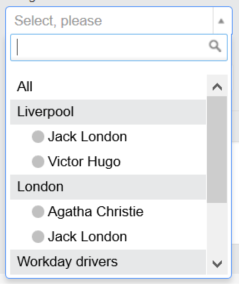 Liverpool, Workday drivers.